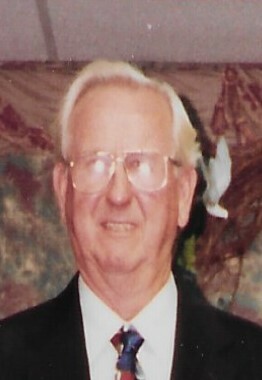 Thomas E. Matheny, 87, of Paducah passed away on Monday, April 15, 2019 at the Jackson Oaks Retirement Community in Paducah. Mr. Matheny was a retired machinist from Walker Towing. He attended Twelve Oaks Baptist Church and formerly attended Southland Baptist Temple. Surviving is his wife of 25 years, Doris J. Duperrieu-Matheny of Paducah; one son, Tracy Earl Matheny of Hickman, KY; two stepsons, Roger Dean Parker of Gilbertsville and Kenny Culp of Paducah; and one stepdaughter, Ginger Culp of Paducah. He was preceded in death by his parents, Newman Matheny and Lola Mayo Matheny; and two sisters. Funeral services will be at 1:00pm on Thursday, April 18, 2019 at Lindsey Funeral Home with the Rev. Jimmy Franks officiating. Burial with military honors will follow at Oak Grove Cemetery in Ledbetter. Memorial contributions may be made in his honor to Mercy Health Lourdes Hospice at P.O. Box 7100 Paducah, KY 42002.